Abi gained a drama BA Hons Degree from St Mary’s University Twickenham in 2000 She then went on to do touring shows with Partytime Productions playing the title role in Cinderella, Easter Parade and Jack and the Beanstalk. However her favourite work was playing Mr Happy in the Mr Men and Little Miss at the seaside tour, which was a yearlong national tour with Premier Productions. This lead to a second year playing Norris the clever pig that built a brick house in the Three little pigs story. Abi started her own franchise of Tick Tock in 2006 after two very enjoyable years at the Muswell Hill Tick Tock, where she combined her love for the theatre and her enjoyment of working with children. Debbie is a Musician and Playwright who graduated with an MA and BA in Drama from Exeter University. She has been strumming the Ukulele for many years, even before it became fashionable and is proud to now be teaching children how to play it too. 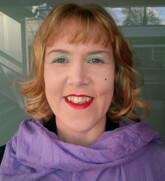 In addition to her work with Tick Tock and Ukulele Tuition, Debbie teaches Music and Movement at a local school. 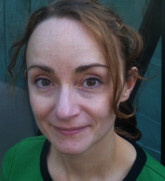 As a Writer she has most recently worked with the Heritage Arts Company, Insignificant Theatre and the Broadway Barking. Debbie attended Tick Tock for five years with her own children and was thrilled to cross the floor to the stage area in 2013.